We manufacture sound partitioning, mesh partitioning, double and single skin steel partitioning systems. Our Mezzanine floors are used for the purpose of maximising floor space in a number of environments including retail, office, storage and production. New build structural steel portal frame building, from initial design to completed construction. 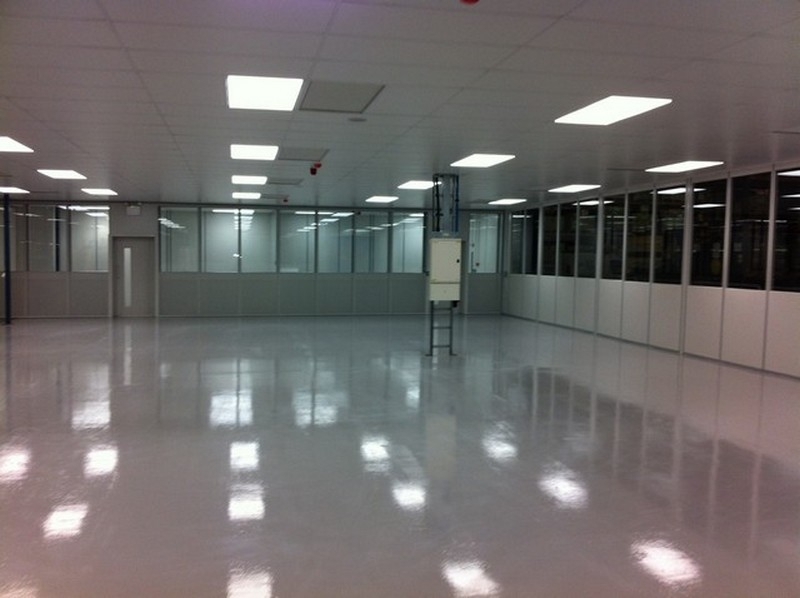 Arena manufacture steel partitioning to construct clean rooms with temperature and humidity control. Dropped/Suspended ceilings have the ability to create beautiful interior finishes while hiding building infrastructure. Full retail, office and factory refurbishments incorporating partition walls, ceilings, flooring works, air conditioning works and electrical work. Installation of new composite or profiled sheet cladding works including flashing, gutters / gutter liners and downpipes in conjunction with our new build projects. IPAF is a training programme for platform operators. Employees received a PAL Card (Powered Access Licence), a safety guide, a log book and a certificate and are fully trained to use platforms. Please enter your info below and hit send. Copyright Arena Supplies Ltd 2019. All Rights Reserverd.